We have made it till the finish! 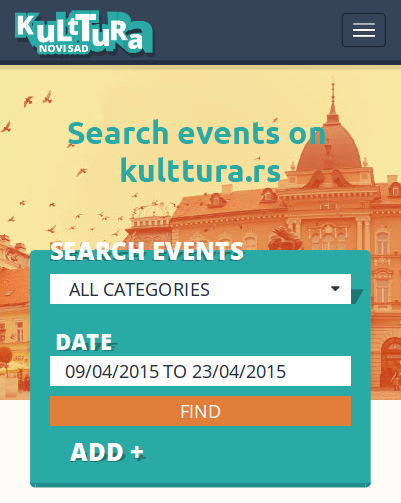 On the website Novi Sad 2021 in the category “2021” you can see the Application form so-called Bid book with which Novi Sad applied in the final competition for the title of European Capital of Culture 2021. In addition to the concept, there are also some of the projects that will be implemented if Novi Sad wins this prestigious title. Part of the team for writing Application was the Arts Council made of prominent cultural workers. Extremely important is the fact that in the design and preparation of the Application form not only prominent cultural workers participated, but a complete cultural scene of Novi Sad. Of course, of great importance was a huge participation of the citizens of Novi Sad, which was implemented through two open calls for submitting project ideas, with more than 250 projects submitted. The decision of who will, together with Timisoara, will be European Capital of Culture will be known on October 13th at 6 PM, after the presentation of the application “Novi Sad 2021” to the members of the Commission in Brussels. Live broadcast will be enabled on the Facebook page Novi Sad 2021. We invite you with great pleasure to see our Application form (Bid book), and to be with us in the decision day on our Facebook page.